Below are listed the most amazing natural and man made landmarks of Florida. Beacon Woods – Waynes World System – Pasco County. 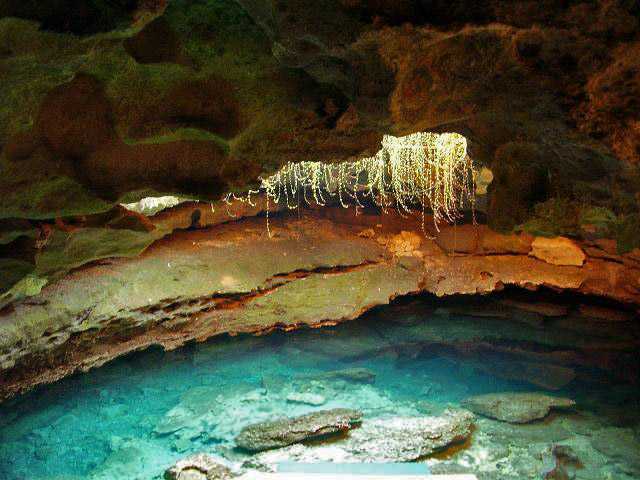 Long underwater cave system, total length of explored passages – 18,288 m.
Devil’s Den – Levy County. A karst window: here through a narrow opening opens a view on large subterranean river. Here were found remains of animals, prehistoric human activities. Falling Waters Sink – Washington County. 35 m deep and 6.5 m wide sinkhole. In wet season a stream falls in the sinkhole, forming 22 m high waterfall – the highest in Florida. Lake Jackson – Leon County. Shallow, 12 km long lake with two sinkholes in it. This lake has disappeared underground four times since 1907. Wakulla – Leon Sinks cave system – Leon County. The longest mapped underwater cave system in United States, where one entrance is at Wakulla Springs. Total length of explored passages – 51,483 m.
Alapaha Rise – Hamilton County. Largest single spring in the United States, with a discharge of 22,700 l/s. This is a rise of submerged river. Crescent Beach Submarine Spring – St. Johns County. Unique submarine spring with exceptionally high discharge. Spring is located 4 km from the coast, at 18 m depth but on a clear day the bulge of this powerful spring is seen on the surface of the sea. De Leon Springs – Volusia County. Large sulfur spring, discharging 880 l/s of water. Surroundings inhabited since 8000 BC. Little Salt Spring – Sarasota County. Water filled, 61 m deep sinkhole. At the depth of 3 m, the water becomes anoxic. Thanks to this in the sinkhole – spring have been preserved numerous examples of prehistoric fauna and remnants of Palaeo-Indians: hundreds of burials from 4,800 – 3,200 BC. Silver Springs – Marion County. A picturesque, very powerful spring, with a 91 x 59 meters large pool with a depth up to 10.1 meters. Its maximum discharge has reached 36,000 liters per second. Wakulla Spring – Wakulla County. One of the most impressive cold water springs in the world, the diameter of this spring pool is 96 meters, its depth is 56.4 meters. One of the most powerful springs in the world, its discharge has reached up to 54,226 liters per second. Warm Mineral Springs – Sarasota County. Enormous spring of warm mineral water with healing properties. This is one of the candidates for the legendary "Fountain of Youth" in Florida. The diameter of this spring is approximately 75 m, depth – 70 m. Discharging 390 l/s and considered to be the largest warm mineral spring in the whole world. In the spring have been found well preserved skeletal remains of humans, mastodon, sabertooth tiger. Weeki Wachee Springs – Hernando County. Large spring, coming from a cave. The explored depth of cave is 124 m and thus it is the deepest freshwater filled cave in the United States. Explored length of passages – 7,260 m. Unique underwater theater – mermaid show – operates here since 1947. Page-Ladson prehistory site – Jefferson County and Taylor County. Rich find of prehistoric fossils of animals and artifacts left by people 12,500 – 10,500 BC. Here were found bones of animals living at the time when people were already here – elephants, mastodons, mammoths, horses, ground sloths. Chop marks on bones show that people hunted mastodons and other animals. The Senator – Seminole County. Largest native tree in Florida, a pond cypress (Taxodium ascendens). This magnificent tree has a circumference 10.8 m, it is 36 m high and crown spread is 17 m. The largest tree of United States east of Mississippi. Estimated age – 3,400 – 3,500 years. Thomas Farm Site – Gilchrist County. One of the richest finds of Miocene (18 million years ago) land animal fossils in North America. Here have been found remnants of rhinoceroses, three species of horses, camels, dogs and many other extinct animals. Crystal River Rock Art – Citrus County. Two large boulders with petrolgyphs, resembling human forms. Possible time of creation – 100 BC. Green Mound – Volusia County. One of the largest Pre-Columbian shell midden (waste) mounds in United States. Once it was 15 m high, now some 12 m high, built approximately in 800 AD. 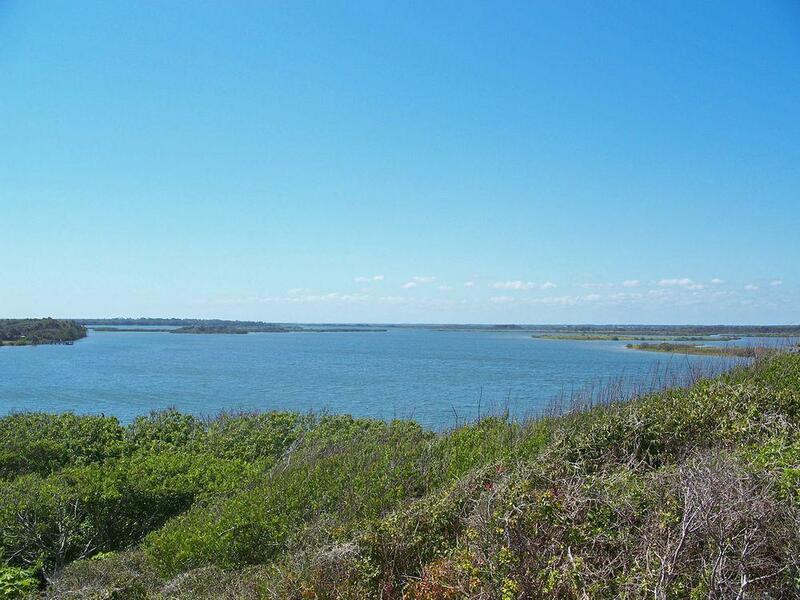 Horr’s Island archaeological site – Collier County. One of the oldest settlements and mound burials in this part of United States. Permanently occupied sometimes around 8000 – 1000 BC, when it was the largest settlement in the area of south-eastern United States. One one mound the burials were made approximately at 3,400 BC. Letchworth Mounds – Jefferson County. 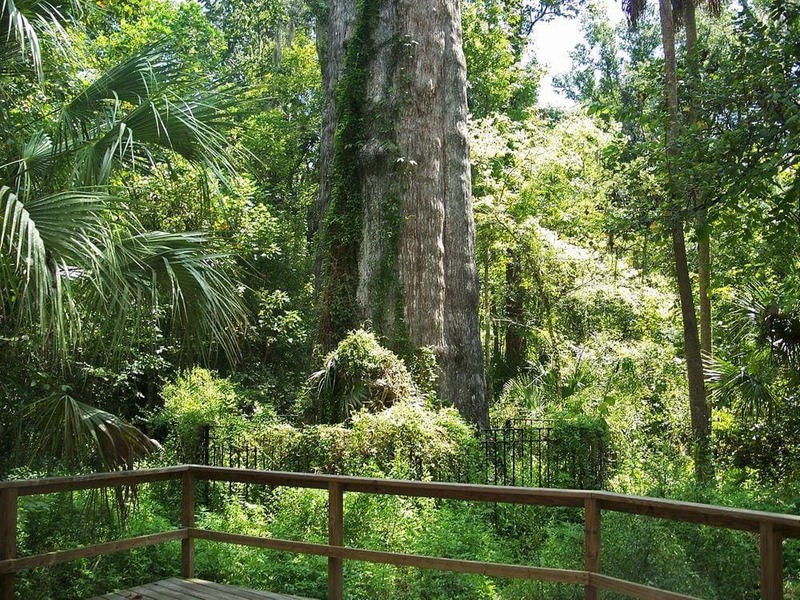 Tallest prehistoric mound in Florida – 14 m high. Built sometimes around 200 – 900 AD, most likely by Weedon Island Culture. Miami Circle – Miami-Dade County. A circle formed by 24 postholes, made sometimes around 0 – 300 AD. Diameter of this perfect circle is 11.5 m. Postholes are cut in limestone bedrock – a unique feature of Pre-Columbian structures in Florida. Most likely these are remnants of structure built by Tequesta culture and are located in their ancient capital. Mud Lake Canal – Monroe County. Large scale prehistoric structure – artificially made canal for canoes to simplify yearly migrations – to avoid rough waters of Mexico Gulf. Canal is 6.3 km long. Turtle Mound – Volusia County. The tallest shell midden mound in United States. Now it is 15 m high, but before the shellrock mining – 23 m high. Biscayne Boulevard Historic District – Miami-Dade County. Showcase of Miami Modernist Architecture style, contains numerous significant buildings of this style built in the 1950ies – 1960ies. Key West Old Town – Monroe Country. Historical district of town, developed on tropical island in the late 19th – early 20th century. Ocean Drive – Miami-Dade County. 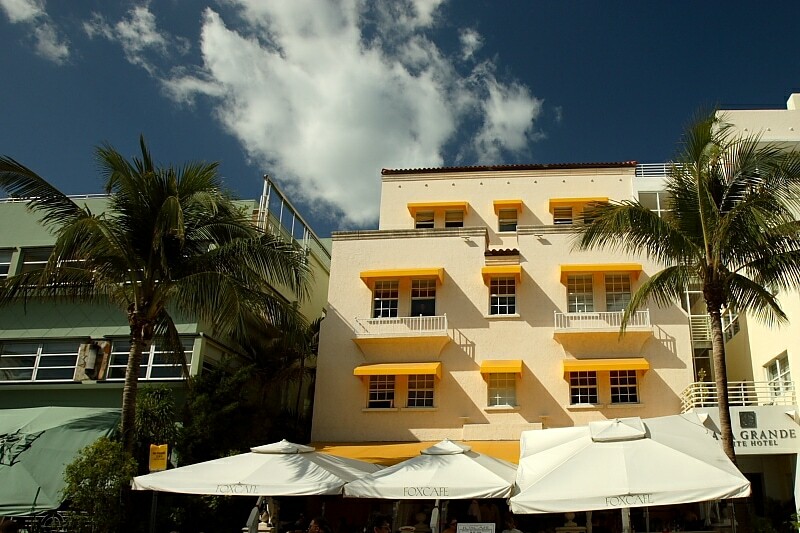 A part of Miami Beach with more than 800 buildings in Art Deco and Streamline Modern style, built in 1923 – 1943. St. Augustine – St. Johns County. The oldest European founded and continuously inhabited city in continental United States. Established by Spaniards in 1565 in the site of earlier local settlement. One of the most interesting historical cities in Florida, with well preserved Spanish colonial architecture and luxurious architecture from the late 19th century. Castillo de San Marco (Fort Marion) – St. Johns County. The oldest masonry fort in the United States, built in 1672 – 1695 by Spaniards and Brits. A star fort built to protect St. Augustine city from attacks of pirates. Fort Jefferson – Monroe County. Large, unfinished sea fortress on a remote island. Construction was started in 1846 and was not finished. Garrison here has been more than 1,700 soldiers large. Fort Zachary Taylor – Monroe Country. Massive fort built at very south of Florida Keys. Constructed in 1845 – 1866. Here was discovered the largest collection of cannons from American Civil War period. Cohen House – Sarasota County. Large private house, built in 1955. Its architecture has left huge influence on modern architecture worldwide and represents a very modern architecture up to this day. 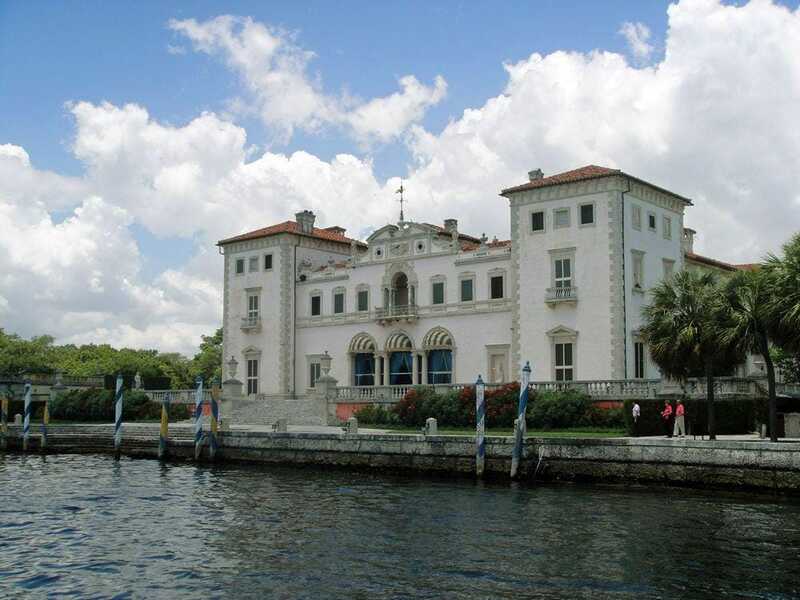 Villa Vizcaya – Miami-Dade County. Large estate of businessman James Deering. The large Neo-Renaissance style house is surrounded by large Italian Renaissance styled gardens and represents an ambitious replica of Italian cultural landscape in Florida. Villa Zorayda (Zorayda Castle) – St. Johns County. Private home of Boston millionaire Franklin W. Smith, built in 1883 to resemble the Alhambra Palace in Granada, Spain. One of the first buildings in the world built of poured concrete and also one of the first Spanish Neo-Renaissance buildings. Beautiful interiors. Also the first example of fantasy architecture, characteristic for Florida. Fontainebleau Miami Beach – Miami-Dade County. Enormous hotel building, built in 1954, designed by Morris Lapidus. It is significant monument in post-war history of American architecture, it represents an early example of Miami Modernist Architecture style. Ponce de León Hotel and Hotel Alcazar (Lightner Museum) – St. Johns County. Posh hotel buildings, constructed in Spanish Neo-Renaissance style in 1887. Both buildings represent some of the earliest examples of poured concrete buildings in the world. Hotle Alzacar had the largest indoor swimming pool in the world. Tampa Bay Hotel (Henry B. Plant Museum) – Hillsborough County. Historical, pompous hotel building. Built in 1888 – 1891 and marks the beginnings of tourism industry in this part of Florida. Constructed in Moorish Revival style. Bok Tower and its gardens – Polk County. Ornate, 62 m tall tower, built in 1929 in Art Deco and Neo-Gothic styles. Around the tower in the 1920ies has been developed beautiful garden. Bridge of Lions, St. Augustine – St. Johns County. Beautiful bridge in Venetian Neo-Renaissance style, built in 1925 – 1927. Rebuilt in extended version in 2010. 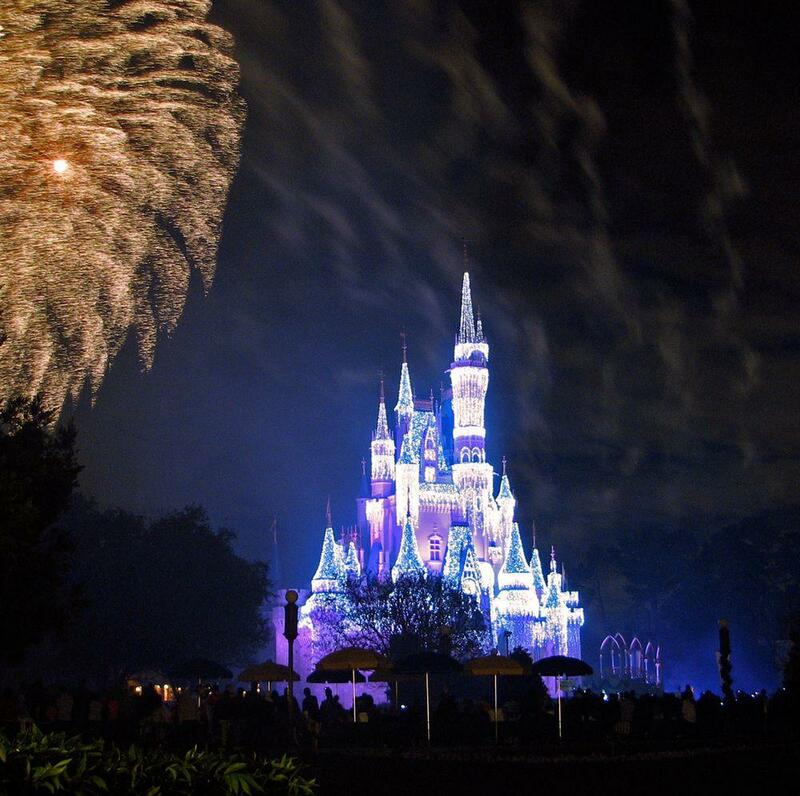 Cinderella Castle in Walt Disney World Resort – Orange County. One of the most iconic buildings in entertainment industry. This structure was built in 1971 and represents a fusion of different fairytale castles – both real and imaginary. This luxurious castle has 27 towers. Coral Castle – Miami-Dade County. Unusual stone structure, created by Latvian eccentric Edward Leedskalnin (Eduards Liedskalniņš) in the 1920ies. The structure includes stones, each weighing several tons. As he built it alone, without assistance of heavy machinery, for a while this caused rumors about supernatural forces of Leedskalnin, but now the construction technologies have been explained. Pirate Soul Museum – St. Johns County. One of most interesting pirate related museums in the world. Contains one of two remaining authentic Jolly Roger flags in the world, authentic pirate treasure chest and other valuables. Spaceship Earth in Walt Disney World Resort – Orange County. Enormous, 18 floors high ball shaped structure, built in 1982 using numerous innovative technologies. The exposition inside informs about the history of science. St. Augustine Memorial Presbyterian Church – St. Johns County. One of most beautiful churches in southern states of United States, built in Neo-Renaissance style in 1889. Tree of Life in Walt Disney World Resort – Orange County. Centerpiece of Disney’s Animal Kingdom – animal theme park. Represents a sculpted, 44 m high and 15 m wide tree (artificial structure) with 14 stories. In the bark are carved 325 animals. Vehicle Assembly Building at Kennedy Space Center – Brevard County. Fourth largest building in the world by volume, built in 1966 for assembling American manned space vehicles. The building is 160.3 m tall, covers 3 ha. Florida is the tropical paradise of mainland United States. Over the last century it has experienced fabulous changes, turning from forgotten, swampy badlands into densely populated and rich land. Architecture of the late 19th and 20th century. The rich people want to live in warm places and they want to live with wide scope. Thus Florida has been a showcase of Moorish and Spanish Revival, Art Deco and more recent architecture styles. Natural springs and underwater caves. 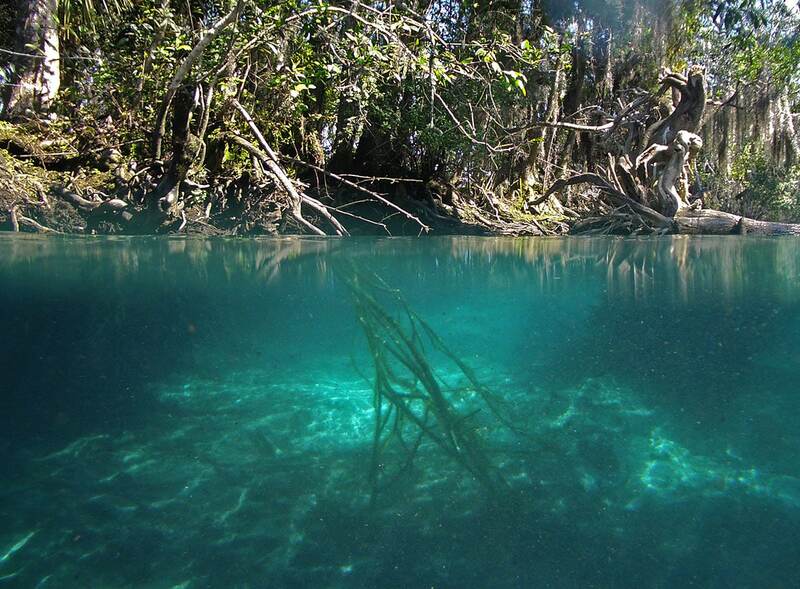 In Florida are located some of the most powerful springs of the world. It is not that rare to see rivers disappearing underground and after some kilometers turning up again. 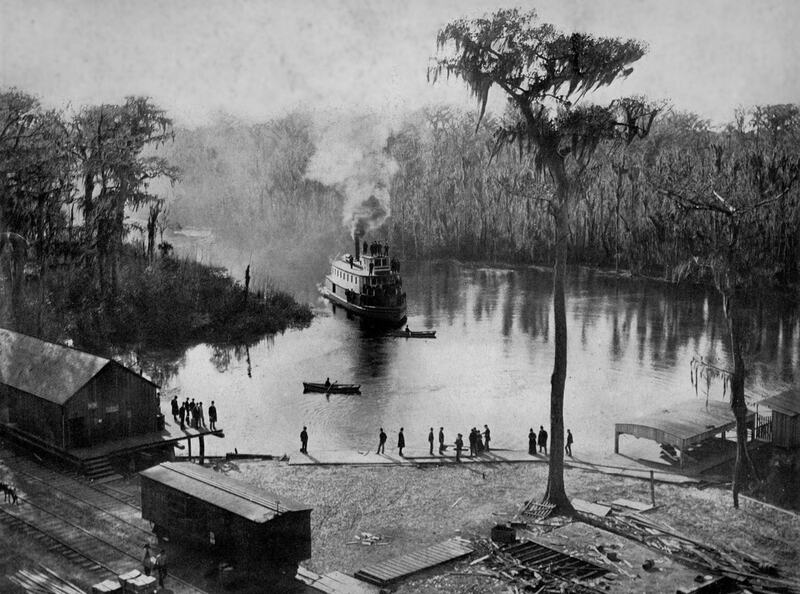 Silver Springs, Florida in 1901 / From "Florida and Nassau in Sunlight Pictures"
Florida has some of the most powerful springs in the world and one of the most powerful springs with a main mouth are the Silver Springs; a well known natural monument historically developed as a resort. It is possible that this is the most powerful spring in the world. Every few months, Dave Barry gets a call from some media person wanting to know, “What the hell is wrong with Florida?” Somehow, the state’s acquired an image as a subtropical festival of stupid, and as a loyal Floridian, Dave begs to differ. Sure, there was the 2000 election. And people seem to take their pants off for no good reason. And it has flying insects the size of LeBron James. But it is a great state, and Dave is going to tell you why. 52 Adventures into the Sunshine State by humor columnist Ron Wiggins. With pluck, derring do, and an infectious sense of humor, Wiggins takes Floridians and visitors alike on a rollicking romp into the state’s parks, wetlands and historical sites that will have readers eager to plan their own day trips.